This recipe was DELICIOUS. The flavor comes from the cheese and oiled & toasted bread, but mainly from the roasted tomatoes with garlic slivers. It’s divine. I will definitely make this every few weeks! Superb! It cooks up quickly too. Please note: *This used to be I.C. safe for me because it used a small amount of raw tomatoes, not canned. It may not be I.C. safe for you. Tomatoes are a known irritant. Adjust if desired. As of 3/2018, I can no longer have any tomato, but I want to leave this awesome recipe on my blog, because maybe someone can still tolerate tomato. Core and halve the plum tomatoes. Slip some thinly sliced garlic into each half. 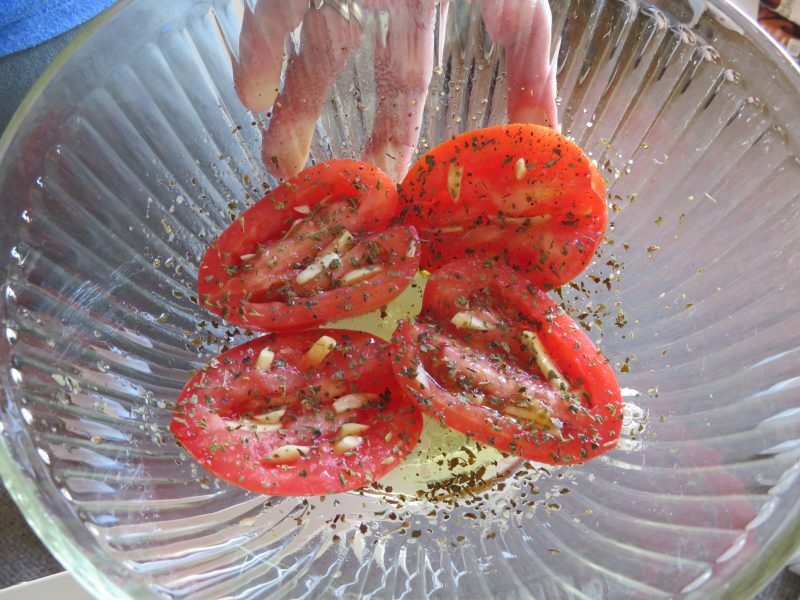 Gently toss tomatoes with olive oil, oregano, and salt until well coated. Brush the split hero rolls with olive oil. 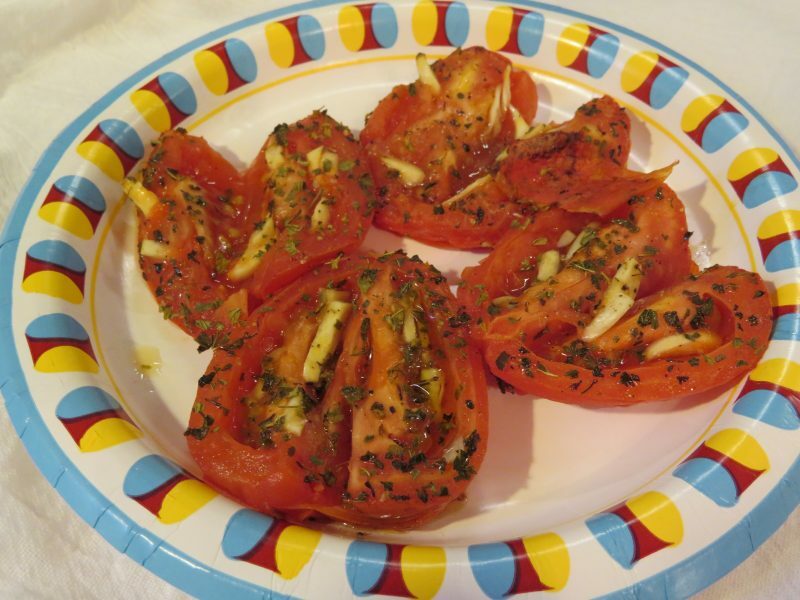 Separately grill rolls until toasted, and tomatoes until tender. 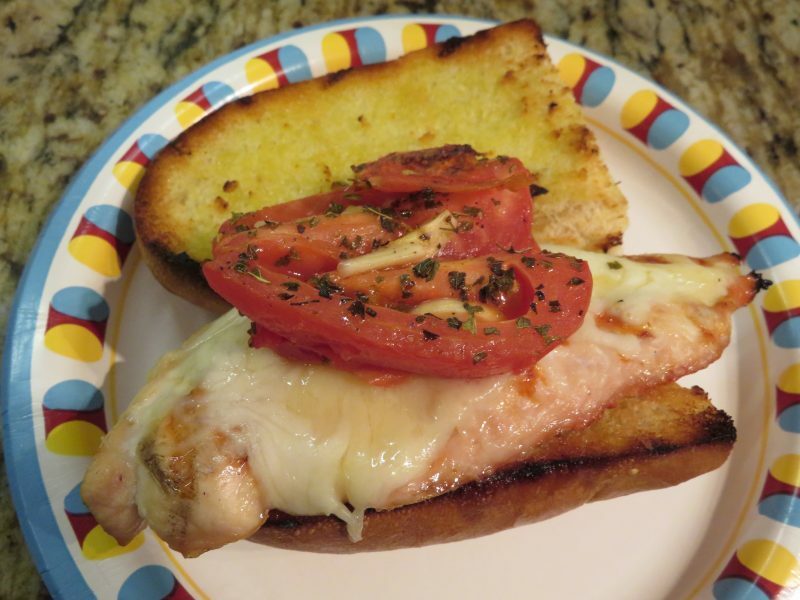 Season 4 chicken cutlets as desired and grill one side, flip, then top with grated Parmesan and mozzarella. Grill until chicken is cooked through and cheese is melted. Make sandwiches with rolls, chicken, and tomatoes as pictured. 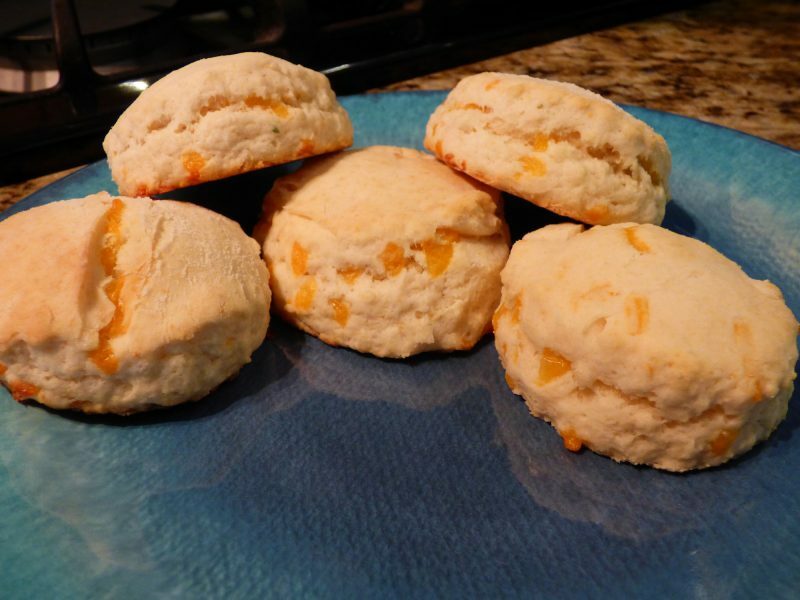 We really enjoyed these cheddar biscuits. They were not too much work and you could even use the food processor to make it easier, like I did. Definitely use butter instead of margarine. Fresh thyme would be best but dried thyme works too. Enjoy! In a medium bowl, stir together the flour, baking powder, sugar, salt, and cream of tartar. Cut in butter using a pastry cutter or a fork until dough it is the size of peas. Make a well in the center of the mixture and measure the milk, shredded cheese, and thyme into the bowl. 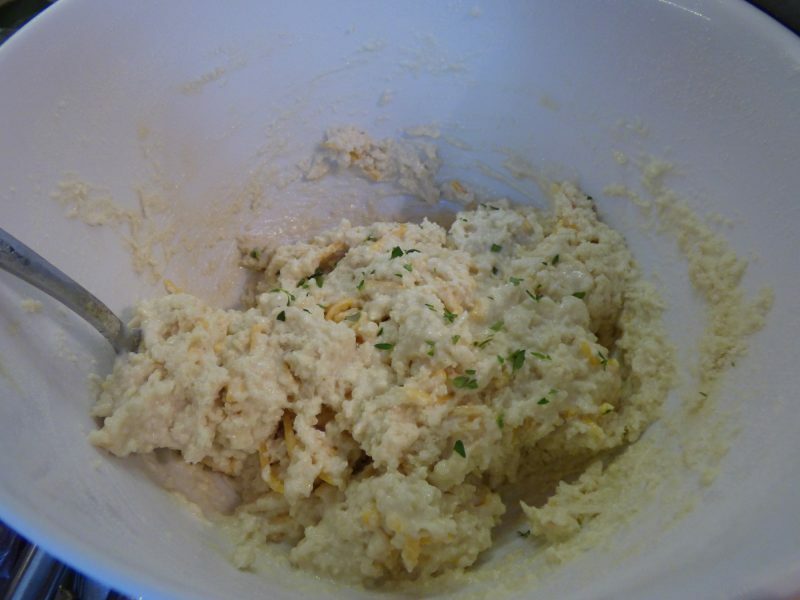 Gently mix until a soft dough forms. Roll or pat out on a floured surface to 3/4″ thick. (Gradually add more flour if dough is too sticky to work with). Cut into circles with biscuit cutter and place on baking sheet. (Use parchment paper if you want to go the extra mile). 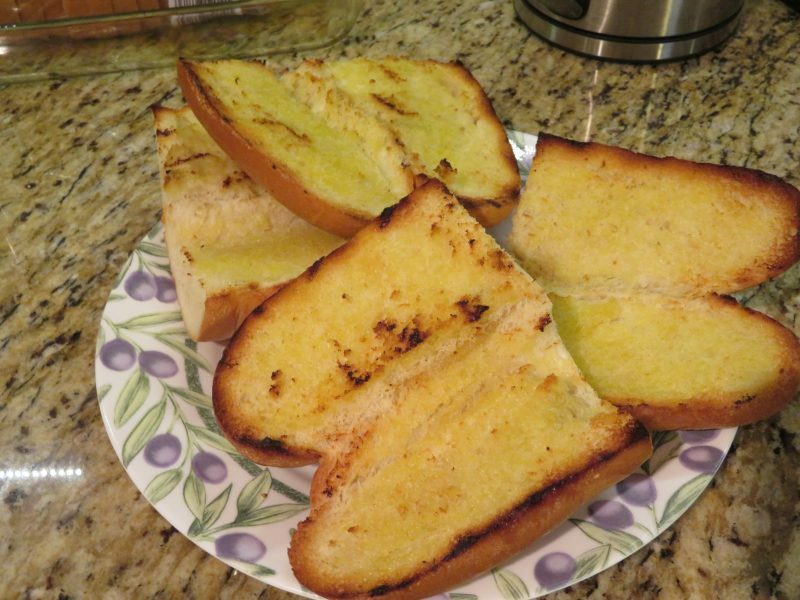 Bake for 10 minutes in the preheated oven, or until the bottoms of the biscuits are golden brown.